There is an invasion of America in progress emanating from the Arabian peninsula. No, I'm not talking about ISIS nor al Qaeda; this invasion consists of airlines. Flying under the radar of popular opinion, three Persian Gulf based airlines, Etihad, Emirates, and Qatar Airways have been growing like weeds while invading American and European markets. They have now grown large enough to become serious competitors to established American and European carriers who claim the three upstarts are abusing provisions of international accords known as "open skies" agreements. All three of these airlines, Etihad, Emirates and Qatar are relative youngsters having been founded in 2003, 1985, and 1993 respectively. But in spite of their youth, these airlines have quickly grown to join the ranks of some of the largest international airlines. 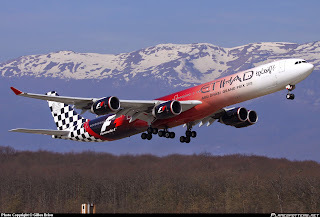 Etihad, for instance, has over 17,000 employees and reported over $6 billion in revenues for 2013. Emirates boasts over 56,000 employees and is the third largest airline in the world based on passenger-miles flown, while Qatar employs over 19,000 and was the first airline in the Mideast to fly the Boeing 787. 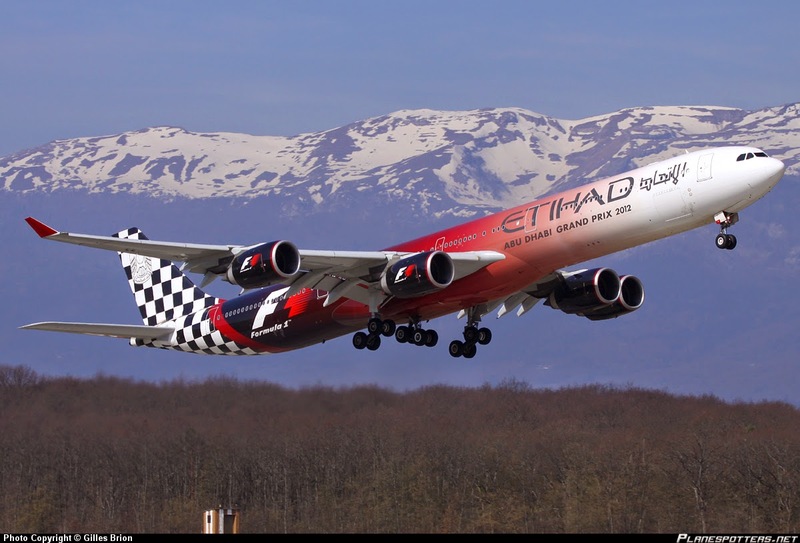 All three of these airlines operate the Airbus A380, the world's largest aircraft, and collectively serve over 480 destinations. By way of contrast, American Airlines employs about 94,000 after their merger with US Airways and reported $42 billion in revenue for 2014. Weighing in for Europe, Lufthansa employs 118,000 and reported revenue of over €30 billion (about $33b) for 2014. So while not threatening to eclipse the largest US or European carriers, the three Arabian entrants have grown large enough to become noticed. And noticed they have become. At this point the story simply reads like the disruption of established market players by more nimble or better managed interlopers. In any other industry that might be the case, but the international airline business is a completely different animal. Fulfilling roles as objects of national pride and diplomacy while acting as both cultural ambassadors and political footballs, international airlines, or flag carriers, have historically never enjoyed free markets. The international airline market has always existed as a tangle of pacts and alliances subject to protectionist impulses, political manipulation, backdoor subsidies and labor strife. Dating back to the postwar years when passenger aircraft first became capable of crossing the oceans, the world's nations have simultaneously worked to untangle this Gordian knot of international air travel while also protecting their own flag carriers from competition. Signed in 1944, the Convention on International Civil Aviation (the Chicago Convention) first provided a framework through which individual nations could enter into two-way or bilateral agreements for international air travel. Among other things, this agreement defined various "freedoms" which might or might not be allowed in international air commerce. One point of contention has always concerned the "fifth freedom" as outlined in the Chicago Convention otherwise known as "cabotage". In this scenario, an airline from country A flies to country B whereupon it picks up passengers from country B and takes them to either country C or another destination in country B. You can see how the government and airlines of country B might object to this "invasion" of their airline market by the airline from country A. As a result, cabotage is generally prohibited in most international airline agreements. Other provisions in these agreements might involve schedule frequency, pricing, specific airport slots and even ownership limits. Taxes, code-share arrangements, and antitrust issues had to be addressed. Since many countries may have only one national airline, government subsidies to hometown airlines were also a consideration. A continuing goal of international airlines has been to progress beyond individual two-way agreements towards multilateral or "open skies" agreements. Under such an agreement, airlines from all participants would be free to serve markets to each other's countries. Pricing and schedules would be at the discretion of airline managements with few restrictions. Cabotage was generally still prohibited, but otherwise there would be no quotas. The economic chips would fall where they might. The 2008 EU-US Open Skies Agreement was considered a triumph of this effort and provides for unlimited competition between all airlines in the European Union and the United States. Likewise, the first open skies agreements between the US and Gulf States such as UAE and Qatar were signed in 1999. Fast forward to today and attitudes about at least some of these agreements are changing. Illegal Subsidies or Better Product? US airlines have always been at the forefront of efforts to pass open skies agreements. While an image of ruthless efficiency may not immediately come to mind when thinking of US legacy airlines, they could easily out compete the high cost national airlines of smaller countries and were able to offer connections to many desirable US destinations through extensive domestic networks. A foreign competitor might only be able to offer service to a US gateway such as Dulles or JFK after which a change to a US domestic airline would be required. The consolidation of Europe into one large market along with code-share arrangements has blunted both of these advantages. And now with the rise of the three Gulf State juggernauts, misgivings about open skies has turned into full-throated protest by the largest US airlines. They claim that the three Gulf airlines are not playing by the established rules. Foremost of the complaints is that Etihad, Emirates, and Qatar have been subsidized to the tune of billions of dollars by their governments. With this cash windfall, the allegations state, they have been able to purchase an ultra modern fleet of aircraft with which they dump seats into European and US markets thereby gaining market share. Naturally, the managements of the three Gulf airlines disagree with the charges of being subsidized by their governments even though they are all government owned. Their arguments consist of two prongs consisting of "no we aren't subsidized", and "US airlines are subsidized too" through bankruptcy protections, fuel tax waivers and post 9/11 payments by the US government to some airlines. Websites have been set up and a public food fight has commenced. Earlier this year, Delta airlines CEO Richard Anderson, in a CNN interview, stated that the Gulf airlines shouldn't complain about US government payments to airlines following 9/11 considering that the attack had origins in that region of the world. Predictably, this blew up the internet with protestations of outrage being hurled back and forth. Anderson later apologized for his remarks but the incident serves to showcase the emotions that are flowing just beneath the surface. On the domestic front, all three CEOs of the big three US airlines have petitioned both the US Commerce and Transportation department heads to request that the existing open skies agreements be opened and renegotiated. The CEOs of the Gulf airlines retort that opening these agreements up would throw the entire framework of open skies into question by setting a precedent of renegotiating agreements when one side can't compete, as is their contention. And the protests against the incursion of the Gulf airlines are not just US based complaints either. Countries such as the Netherlands and Canada have recently decided to consider restrictions against the Gulf Three. This fight is even raging in places like Australia where Emirates is complaining that it is being discriminated against through charges for air traffic services. That said, it also sounds as if the US based airlines doth protest just a little bit too much. It is true that the Gulf airlines have a well placed geographic hub between East and West which no doubt increases their global competitive reach. New long range aircraft help them to bridge continents without stopping for refueling. There is also no doubt that the Gulf airlines offer a product superior to their American competitors based on customer surveys. And therein lies another irony. It's been remarked far and wide that the early years of commercial aviation were the glory years. And by the early years I mean the postwar era up until perhaps 1970. Flying was glamorous, people dressed up, the service was impeccable and it was a classy experience. It was the era of "coffee, tea, or me". Flight attendants had to be female, young, thin, and single. Rightly or wrongly, a change in any of those categories was grounds for termination. The food was gourmet, the wine vintage and the silverware real. Oh, and it was crazy expensive. Thirty years of "progress" has left us with the air transportation system we have today. And it is exactly what we have asked for nay demanded. US employment law now forbids discrimination in any of the above mentioned categories. The demand for lower fares resulted in "cattle car" boarding and knee-chewing seat pitch. Management-arranged bankruptcies for the purpose of abrogating union contracts have left a workforce of bitter employees who seem to delight in slamming the jetway door in the face of running passengers. Or they might revel in "slopping the pigs" with an inedible simulacrum of latex flavored food before disappearing for the remainder of the flight. Getting your private parts fondled by a surly TSA agent is just the cherry on top of this nasty confection. But then again, in 1967, no one but the truly wealthy were flying to Chicago to see a playoff game over the weekend. It is now de rigueur. But we somehow threw the good service baby out with the high fare bathwater. Perhaps the two are mutually exclusive, but perhaps not. Given the facts in the case, one might be led to believe that the US based carriers have a pretty solid case against the Gulf Three. That their petition to restrict further access by these carriers into the US market would get a sympathetic hearing from US officials. That realizing that the Gulf carriers are not playing by the rules would lead the US flying public to shun the interlopers in favor of the home team. That would be a mistaken belief for a number of reasons. As I mentioned above, the Gulf carriers consistently get better customer service grades from the flying public. Remember, this is the same flying public that has come to hate the US airline business nearly as much as their cable provider. In spite of widely popular laws requiring the employment of grumpy, middle aged and bitter employees, young attractive employees seem to carry the day. I recently perused the comments section of relevant articles in several US dailies to get a very unscientific feel for the public's opinion of this fight. The comments were mostly in favor of the continued presence and expansion of the Gulf airlines. The common theme expressed is that the US airlines need to up their game. I'm also guessing that news of illegal subsidies from Arabian Peninsula oil kingdoms is not entirely unwelcome either. People may feel they are getting some of their gas money back. And don't forget that there are other constituents in this country who don't necessarily mind the success of the Gulf airlines one bit. That would be the Boeing Corporation and its 165,000 employees who happen to do billions of dollars of business with the gulf airlines. In fact we not only sell jets to rivals of US airlines, we loan them the money through our Ex-Im bank at favorable rates. We are great friends indeed. And by we, I mean you, the US taxpayer. In one sense, this international corporate food fight is really no different than what happens in any global commodity market. It will sort itself out one way or another. But if it goes badly for US airlines, I'm told that Dubai has great weather most of the year. Learn how to book international flights for $100 instead of $1,000 using TRAVEL HACKING.